My plan for today was to follow Spriddlers tip (thanks for that) and adjust the clutch close beyond the slipping point. 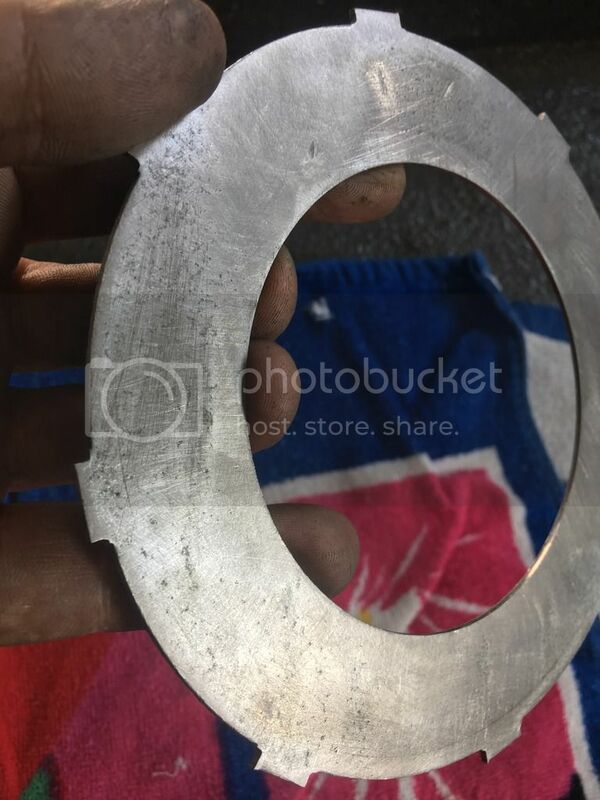 Pulling the clutch was just to hard, so I had to take care of this. But out of curiosity, I had to take the clutch apart. And here is what I found. 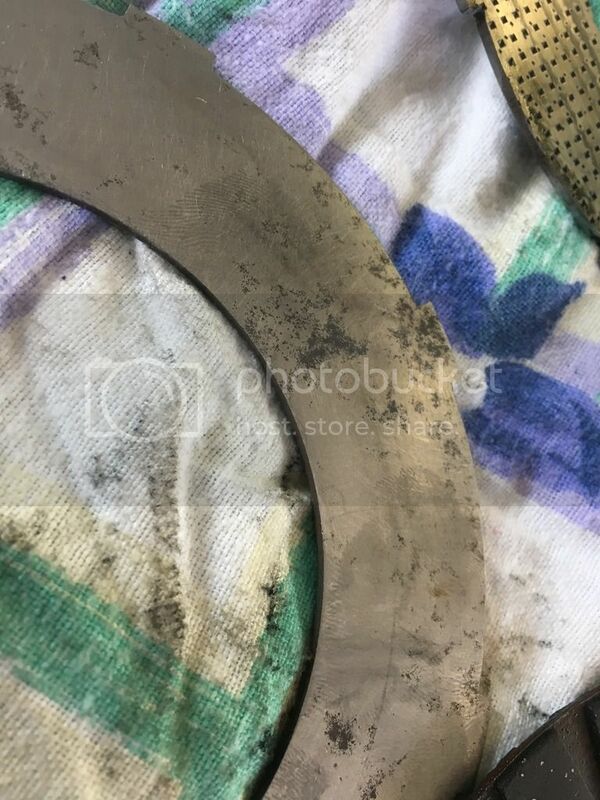 A wild mix of different types of clutch blades, with marks of corrosion and some deep dents. Seams like someone tried to grind away the rust. Making dents in the blades. Which left only about 60% and on some blades only 30% of even touching surface. 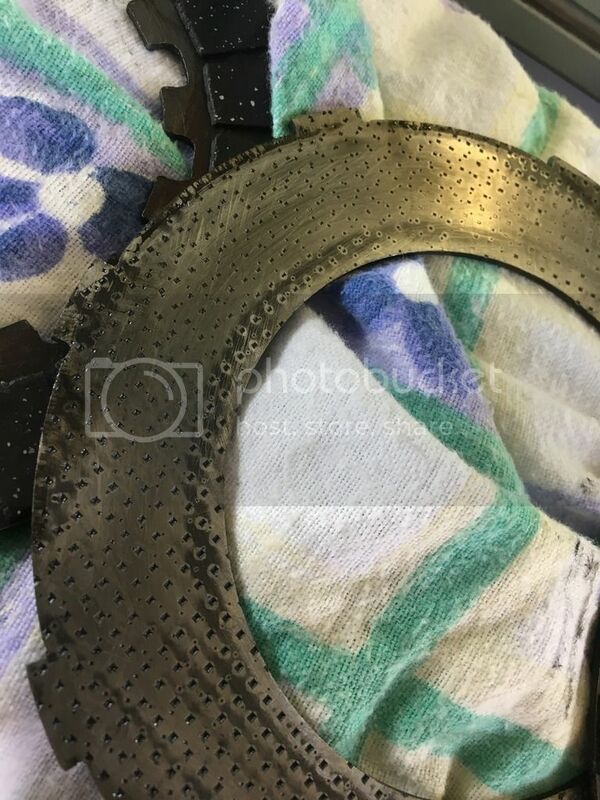 The pictures where taken after I had tried to sand them on an even survace, which I gave up, realizing the dents where to deep. After I had the taken it apart and had a good look at the blades, it was pritty clear to me which article numbers in the Spares Catalogue must be the right ones. 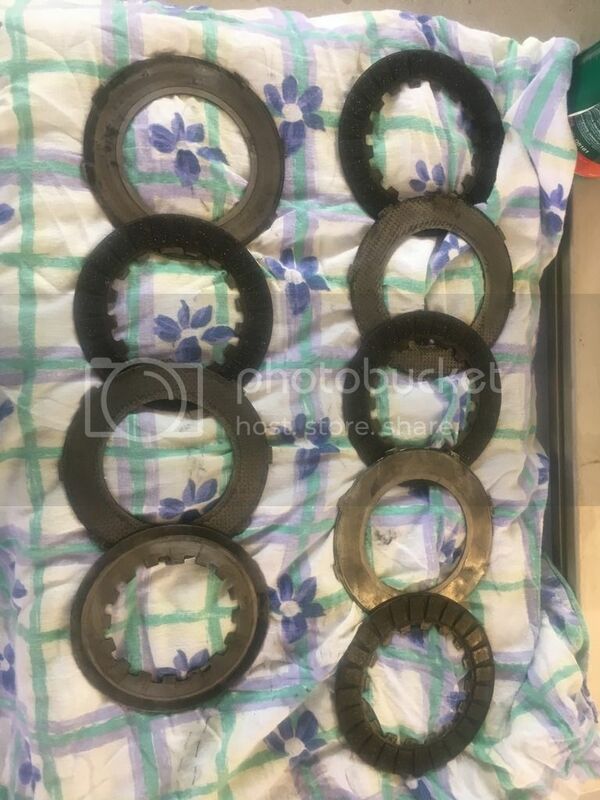 So I ordered a hole new set. Fortunately, the Springs still had the original length, as subscribed in the Workshop Manual. LeYves23 wrote: P.S. Although pulling the clutch is some hard work now. Is that normal ? As others have said, get the clutch cable as well routed and smooth as possible, and check the cable adjustment. If you are used to a modern bike the clutch on these will feel notably heavier in comparison though. Glad to hear you've been able to get out for a ride now. Just to finish up the story. So I did get my clutch blades, installed them, flushed the spring screws with the stud. I then unscrewed them 2 turns. I kept the primary chain Case open. I then put the front wheel against a wall and and ran the engine at 3/4 quarter throttle letting the cutch grip. The engine almost immediately died of. I screwed in the spring screw a nother half turn, just to be on the safe side and because the clutch was still quite easily to to pull. After a long ride I can say its just fine and pulling the clutch is quite easy. Almost like a modern Bikes clutch. Hope it stays that way. Unfortunately when starting the bike with the primary chain case open, she spit out a lot of oil, from the crankcase vent velve. So I guess I also have a wett sumping problem. After draining 1/2 a lieter of oil from the crankcase i was shure that it might make sense to install a ball velve in the feed line from the oil tank. I also installed a oil pressure switch into the oil distributor nut on the left side on the engine. Together with an oil lamp which will go on if I forgot to open the velve and dont have enough oil pressure. For the longterm, i have ordered an old used Oil pump. I will try to rework it.... If succeed, ill create a new post.